A Liverpool fan on Reddit has dug up a brilliant quote from Reds manager Jurgen Klopp on Roberto Firmino from back in February. 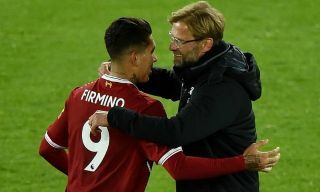 At the time, Mohamed Salah was certainly the one catching the eye in this Liverpool side, so Klopp’s words on Firmino might’ve come as a bit of a surprise, but it’s clear the German has long seen something in the 26-year-old behind the scenes that gives him an extra insight into his remarkable quality. It’s clear from watching him play that Firmino has terrific work-rate and in-game intelligence, but he’s also an exceptionally gifted player who’s come on leaps and bounds under Klopp’s management. His winner against PSG last night will likely go down as one of his finest moments, but it may also just be the start of an explosive campaign as he’s barely even got going yet this term.